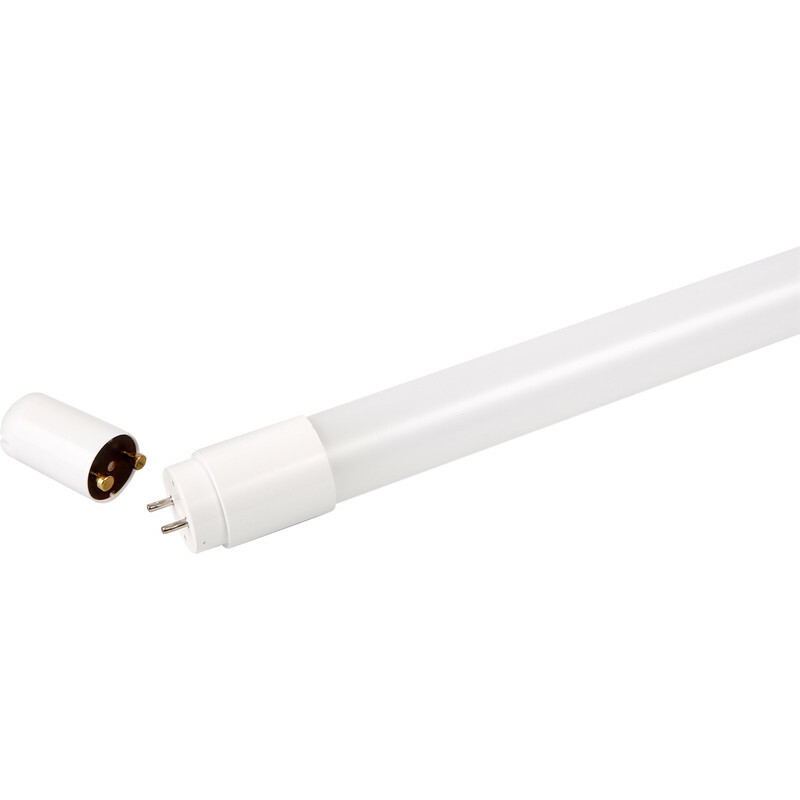 Replaces fluorescent tubes in switch start fittings. Replace existing starter switch with LED link switch supplied. HF fittings require wiring modification. 85-265V AC, power factor >90, Glass body. LED Glass Tube 1800mm 32W 3200lm is rated 4.4 out of 5 by 96. Rated 5 out of 5 by MGHUK from Simple Swap Over Simply replace both the starter and the bulb with the ones provided and off you go. None of the delay or flicker any more. Rated 5 out of 5 by Sparkie17 from brilliant MH Prefect replacement for old florescent tubes. Bright and efficient. Rated 4 out of 5 by Ex matelot from Led tubes Excellent light far better than a flourresce tube but unfortunately the last 2 I ordered were defective Waiting replacement hence only 4 star. Only real downside is price compared to flourrescent . Rated 5 out of 5 by Jimbabway from Great direct replacement This is a straightforward replacement for the traditional fluorescent tube, just replace the tube and fit the replacement starter (or remove the ballast) and hay presto - instant bright light ! Thoroughly recommended product at a great price. Rated 5 out of 5 by stevei from very bright Bought with other led bulbs but not delivered, but soon sent out with no quibles after email contact. Easy to fit using replacement starter supplied, light is instant with no flickering and very bright. Not the cheapest online but good value with free delivery. Rated 4 out of 5 by Buzby from Great LED Tubes Late Delivery, but good communication after I emailed for delivery info. Tubes are very good and easy to fit.